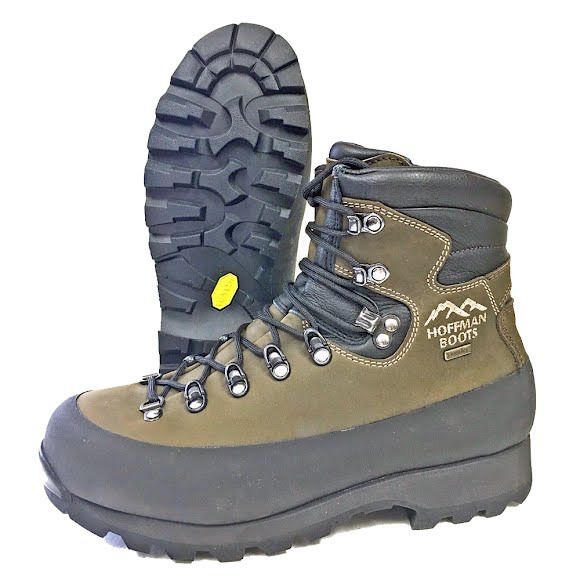 Hoffman Boots' introduces the 6 Inch Explorer Light; a hiking boot developed for the most demanding outdoorsmen in the most demanding conditions. A solid one piece vamp made with the finest 2.8 mm thick leather provides excellent ankle support while a nylon mid sole adds plenty of lateral stability on uneven terrain. Hoffman Boots &apos; introduces the 6 Inch Explorer Light; a hiking boot developed for the most demanding outdoorsmen in the most demanding conditions. A solid one piece vamp made with the finest 2.8 mm thick leather provides excellent ankle support while a nylon mid sole adds plenty of lateral stability on uneven terrain. Lightweight and breathable, the Hoffman Explorer is perfect for any season, work or play.